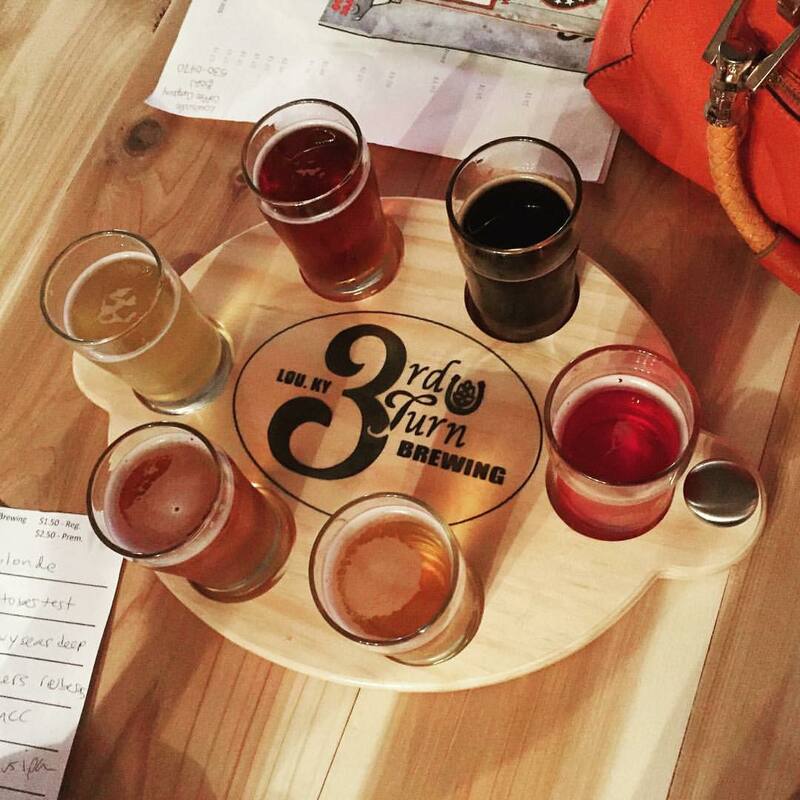 3rd Turn Brewing, which opened its first taproom last year in a restored 1878 church on Gaslight Square in Jeffersontown, has now opened Oldham Gardens, a 16-handle taproom with outdoor bar and patios, expansive garden and event space on a four-acre farm in Crestwood. The brewery complex at 6300 Old Lagrange Rd. will grow herbs, fruit and vegetables on the farm that will be used in their brewing. The beer garden has a 68-foot handmade table in the beer garden, which is almost an acre in area. The dog-friendly space has Oktoberfest-style tables made from reclaimed wood, and there is a stage for live music performance. The indoor taproom has a variety of seating, for large and smaller groups. The taps will feature both 3rd Turn beers and guest brews, mostly from Kentucky breweries. The bar will also serve bourbon, wine, cider and bourbon slushies. A small kitchen, not yet operating, will eventually be used to serve a combination of barbecue and bar fare. A 5,000-square-foot event space is in the process of being enclosed with more reclaimed wood and will be rented out for wedding receptions and other private events. 3rd Turn is situating itself in the growing, increasingly crowded local craft beer scene as the first in the area to be located outside the I-264 ring in Jeffersontown, and the new farm brewery complex is the first to open outside the I-265 perimeter.